Once you have had Botox or Anti-Wrinkle Injections you won’t look back, you might think it seems scary as it is an injection, but our staff are trained to put you at ease when you come in to the clinic and discuss the Botox treatment. Instantly the area may appear a little swollen, but you need to let the swelling go down naturally and then you will be amazed at how it tightens your skin and makes you feel instantly more confident and youthful. The cost is anything from £75 to £130 as it depends on how many areas our Aesthetic Practitioner is working on. 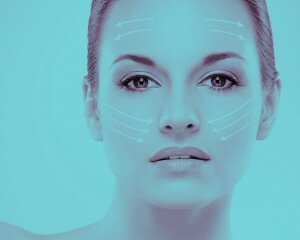 Another name for Botox is Anti-Wrinkle, Facial Fillers or Dermal Fillers. You can discuss the procedure with us at length and we guarantee we will not recommend you get this treatment if its not right for you. We mainly use Juvederm which is licensed in the U.K. and used worldwide, it has a great reputation as a Botox treatment and is normally the first choice for patients. You can get Botox anywhere i.e. Face, Cheeks, Buttock, Under Arm etc. Some people who sweat uncontrollably find this very useful as the sweating can stop. However, please note you may find you sweat elsewhere on the body i.e. face or feet. The water has to come out somehow, but we take our time to explain all this to you at consultation stage. If you would like to discuss Botox and the products we administer, please call our clinic. We do have a UK branch network, so you should be able to find a clinic local to your location. We are friendly, approachable but aboveall, we are trained in this procedure and carry it out each week with patients throughout the U.K. Our Glasgow number is 0141 280 3893 but you can find our clinic location on our website.